Spinning is one of the most popular workouts of the moment, with boutique studios popping up across the world. Many people think that the faster you pedal, the more efficient the workout. However, according to Psycle CEO Rhian Stephenson, spinning your legs too quickly is one of the biggest mistakes people make in a spin class. Similarly, setting the resistance too high so you can barely push your legs around is another mistake — it all comes down to mastering the resistance dial. Spinning has become one of the most popular workouts of this decade — and was even the most popular workout in a number of US cities last year, according to ClassPass data. Thanks to classes incorporating upper body resistance, motivational music, and club-like strobe lighting, spinning is a fun, trendy, and effective way to get your cardio fix. 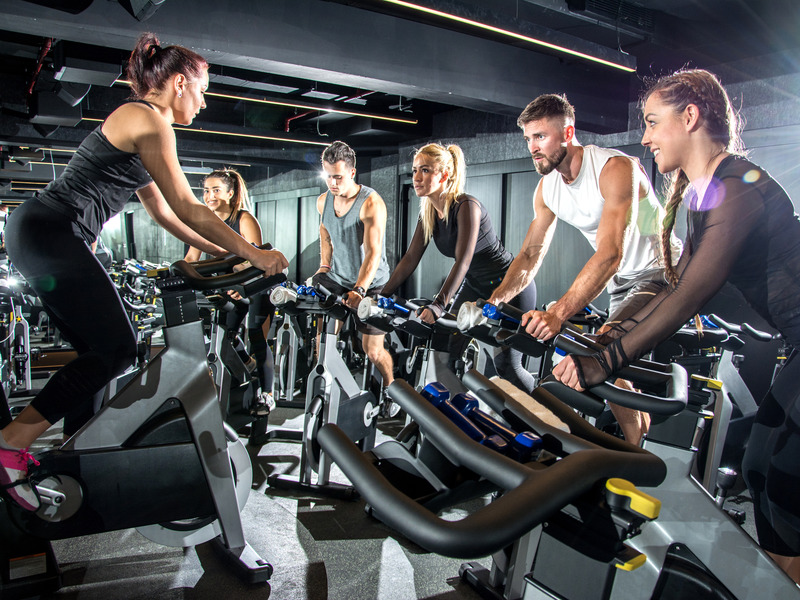 However, there’s one big mistake people make when taking up the indoor cycling workout, according to the CEO of Psycle, a chain of boutique London spin studios. Rhian Stephenson told INSIDER that a number of riders spin their legs too quickly because they haven’t mastered the resistance dial. Essentially, it’s the cycling equivalent of trying to run before you can walk. „It takes a while to master the resistance dial, so we often see riders spinning their legs too quickly or barely able to push their legs around,“ Stephenson said. „It’s important to adjust the resistance more frequently until you learn your own limits and can align yourself with what the instructor is saying. Just because the person next to you is on resistance level 20, there’s nothing wrong with sticking to level five — and if that’s what’s right for you, pedalling at that level is what’s going to give you the most effective workout. According to Stephenson, it’s imperative to think about what you’re actually doing with your body when on the bike. „Really focusing on technique will help you get a better full body workout,“ she said. „Focusing on the full pedal stroke will engage your hamstrings and glutes more, and give you a more well founded workout. One concern some people have about spinning is that their thigh muscles will grow larger than they’d like, but Stephenson says there is a simple way to avoid this. Most classes, however, are designed to make sure riders spend a lot of time out of the saddle, cycling at different speeds, to ensure different body parts are worked. „It’s a full body workout so you don’t need to worry about ‘bulking’ the legs,“ Stephenson added.